Watch the complete Transform Your Employee Engagement Webinar that explores the potential of a properly executed employee portal and how it can bring transformation to employees engagement with a digital experience platform. Struggling to engage your employees? Unengaged employees is holding back the growth potential of your business. 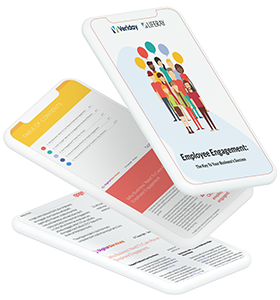 This ebook explores how having engaged employees are a key to success and how to create this engagement. NO it’s not with bean bag chairs.